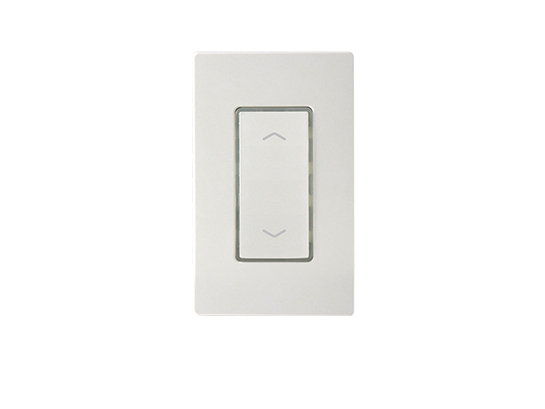 The PBD type push‑button dimmer switch is a single pole, low voltage push‑button dimmer switch designed to fit into a standard NEMA wall box. This sleek, low profile switch provides a momentary contact signal for IR‑TEC power pack to manually control the connected lighting, together with an adjustable 0‑10V output to dim the light as desired through intuitive button operstaion. Pluggable type terminal block makes low voltage wiring connection quick and easy. A screwless snap‑on Decora wall plate is supplied to create a modern, high‑end appearance for all spaces.